Presbyter or chief rabbi of the Jews of England. He appears to have been the chirographer of the Jews of London, and obtained great wealth, but he lost it under Edward I. In 1255 he was appointed presbyter on the expulsion of Elyas from that office. 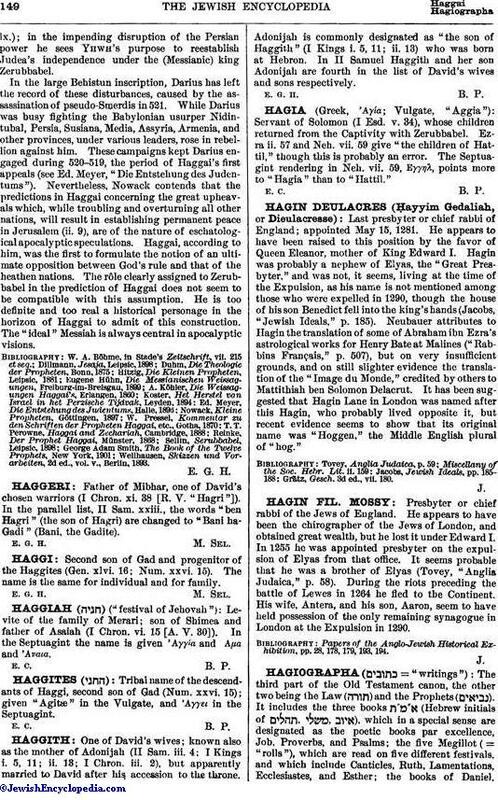 It seems probable that he was a brother of Elyas (Tovey, "Anglia Judaica," p. 58). During the riots preceding the battle of Lewes in 1264 he fled to the Continent. His wife, Antera, and his son, Aaron, seem to have held possession of the only remaining synagogue in London at the Expulsion in 1290. Papers of the Anglo-Jewish Historical Exhibition, pp. 28, 178, 179, 193, 194.